FEBRUARY 21, 2017 (SOUTH BURLINGTON, VT) - Logic Supply, a global Industrial PC company, announced today that Doug Falso has joined the company to head up its Physical Security & Building Automation team. As the Account Executive dedicated to that vertical, Falso will lead market development efforts in digital surveillance, access control, and smart buildings, among other applications. Falso comes to Logic Supply with over twenty years in the IPC industry, most recently focusing on the surveillance hardware business. 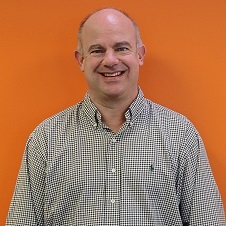 In his most recent role with Seneca Data, Falso was a key business development executive who was instrumental in growing Network Video Recorder product sales. Seneca Data was acquired by Arrow Electronics (NYSE: ARW) in 2014. "Logic Supply is a computer hardware company on the move," said Falso. "Last year, they experienced record growth and I saw this as the right time to get onboard. Mobile and remote security applications are booming. Logic Supply's lineup of rugged, mobile-ready edge servers are an ideal fit." Falso's hire is part of a larger market-focused initiative at Logic Supply. Said VP of Sales Brett Mancini, "As one of the very few US-based industrial and embedded computer players, we focus our energy on serving the needs of large OEMs. Our customers appreciate our reliability and flexibility in a partnership that allows them to focus on their core business. The next logical step in our evolution was to customize our offering to the verticals we serve. That's the thinking behind our new market teams." The company has developed six cross-departmental teams, broadly aligned with Intel’s Internet of Things Group (IoTG) segments. Logic Supply segments include Industrial & Energy, Physical Security & Building Automation, Digital Media & Retail, Networking & Communications, Government, and Medical. Logic Supply will be exhibiting at ISC West, the largest security industry trade show in the US, from April 5-7. About Logic Supply: A leading Industrial PC company, Logic Supply designs highly-configurable computers engineered for reliability. Their systems operate in the harshest environments and power innovation in the evolving Internet of Things. Fueled by a unique direct-to-customer business model that combines vertical integration, modular product design and a powerful online platform, Logic Supply offers computers “designed to last, built to order, and delivered in days.” Founded in 2003, the company has served over 60,000 customers. Logic Supply has offices in North America, Europe, and Taiwan. See why today’s technology companies Depend on Logic at www.logicsupply.com/ and on Twitter @LogicSupply.